I'm an author of YA paranormal novels. I guess I've always been drawn to things that go bump in the night. Maybe growing up in a haunted house and living with a ghost had something to do with it. Unique settings and story lines appeal to both teens and adults looking for some spine-tingling excitement. 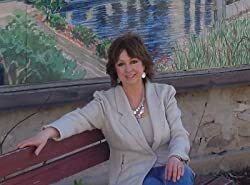 My stories interweave the paranormal with sigh-worthy romance, mystery and adventure, designed to keep you up turning pages at night. Happy hauntings! In the meantime, I'll be counting the days till Halloween. Please enter your email address and click the Follow button to follow Aimee Oswald Sellars!